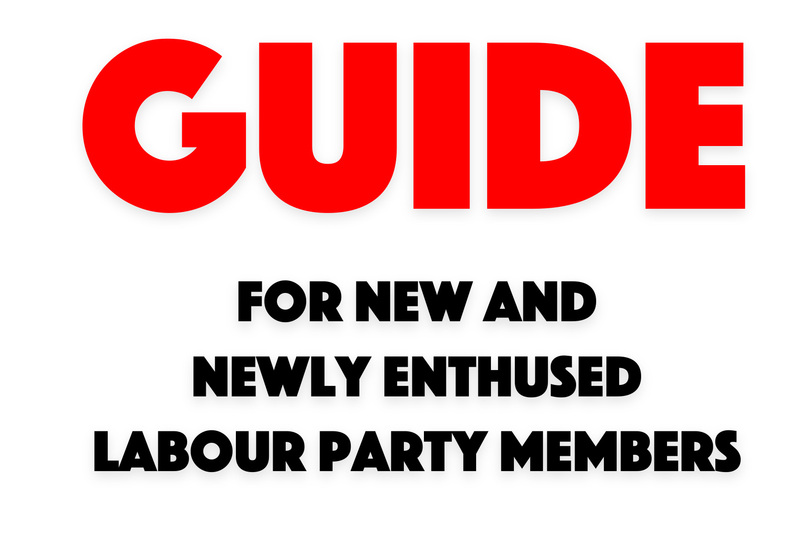 Condemns the unjust suspension of Labour Party members, many of whom are Black, Muslim, committed anti-racists and/or Jewish supporters of Palestinian rights, and many Corbyn supporters. 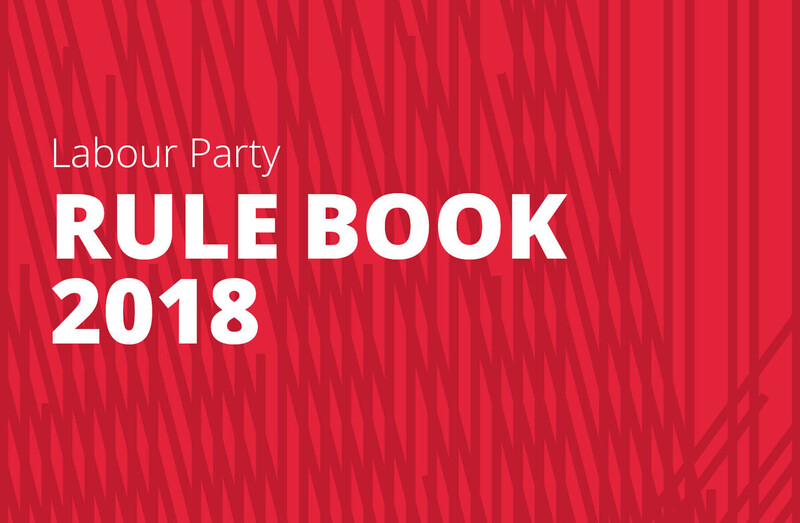 Calls for Momentum to campaign against the purge of thousands of Labour Party members and supporters in the run up to the Leadership election, some of which were targeted for spurious reasons such as tweeting about other political parties. Free speech is a right that should be respected by the Labour Party Compliance Unit. Calls for Jackie Walker, a Jewish Black woman and anti-racist campaigner, to be reinstated into the Labour Party. Calls for discussion on democratic structures and procedures, suspensions and elections at the national conference [of Momentum] in February. Barnet Momentum defends Jackie Walker and calls on national Momentum to not remove her from her role as vice-chair of Momentum. At our Rossendale Friends of Jeremy Corbyn meeting on 4th October we decided we wished to establish ourselves as a branch of Momentum, which we have scheduled for 25 October. However we wish to unanimously condemn the action of the Steering Committee in their suspension of Jackie Walker and her removal as Vice Chair, following the Anti-Semitism training day at Labour Party Conference. We assert that Jackie’s words on a secretly filmed clip at a JLM training day – which was quietly handed over to the Press, presumably by the hostile right wing JLM – did not reveal her saying anything anti-Semitic. A couple of our members were present at the Chakrabarti debate at The World Transformed in Liverpool and came back reporting that Jackie had spoken brilliantly and had lots of support from the audience unlike Jeremy Newmark of JLM, who went down like a lead balloon. It would appear that she has massive support from Momentum members across the country. Jackie has again been suspended by the NEC of the Labour Party, and is facing a witch hunt by the Blairite/JLM section of the Party. Instead of Momentum taking a totally undemocratic vote to suspend Jackie they should be supporting Jackie and campaigning for her to be admitted to the Labour Party. We are extremely concerned that Momentum has also fallen into the ‘witch hunters ‘ trap by removing Jackie from her position. The Manchester Momentum BAME Caucus are concerned with the undemocratic and troubling actions of the Momentum leadership in removing Jackie Walker from her position as Vice Chair of the Momentum Steering Group. Jackie Walker is a Jewish Black woman and anti-racism campaigner. Her removal from the position of Vice Chair was made by a majority white panel under immense pressure from allegations she had been anti-Semitic by groups and individuals who have weaponised Anti-Semitism in order to attack the Labour leadership of Jeremy Corbyn and his support for the right of Palestinian self-determination. The Momentum Steering Committee in their own statement accepted that Jackie Walker had not been anti-Semitic but judged her remarks on Holocaust Memorial Day and her interview to Channel 4 News to be offensive. This was despite the many Jewish voices stating her comments were neither anti-Semitic nor offensive. The committee in coming to this conclusion seems to have ignored the fact that Jackie has faced an onslaught of not only biased press coverage but also personal attacks that included racist abuse. The Committee also failed to respect and acknowledge Jackie’s own identity and her right to question how concepts central to the Jewish community are defined as a Jewish woman. We are also troubled by the fact that there was a media briefing against Jackie from inside Momentum with Momentum’s ‘sources’ actively misquoting Jackie and contributing to her trial by media and forces hostile to the Corbyn Leadership. 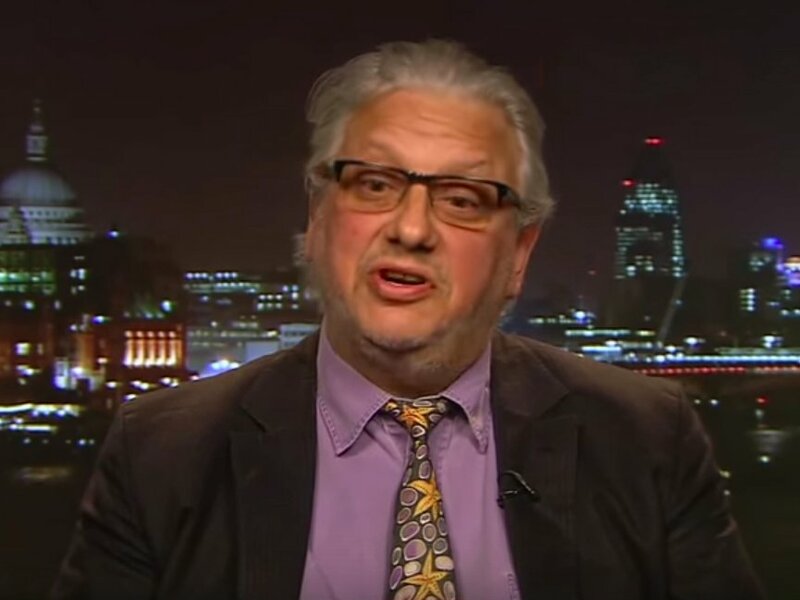 Removing the lifelong anti-racism campaigner from her post in such circumstances has left BAME Momentum members wondering who is representing them within the leadership. The Steering Committee must also accept that it has made Momentum a less safe space for BAME members, who already feel marginalised by the failure of the committee to engage positively with BAME members. 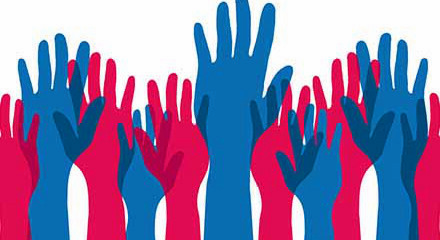 The Steering Committee made no effort to contact its BAME membership in order to gauge their views. BAME Members must have the safe space necessary to advocate for issues such as Palestine and Black Lives Matter even if that means countering prevailing views. Apartheid in South Africa was supported by the Thatcher government and many in the establishment but figures such as Jeremy Corbyn fought against such views even if that resulted in arrest; Nelson Mandela, Desmond Tutu, the Black Panthers and the Black Lives Matter movement have also taken courageous stands against the oppresion of Palestinian people despite very similar pressure and attacks. Our concerns now are that the Momentum leadership will continue to capitulate and leave its membership susceptible to outside pressure when they take a meaningful stance. The fight against racism and anti-Semitism cannot be selective and GM BAME caucus abhors any act of anti-Semitism or racism and extends the hand of solidarity to any comrade who has suffered such abuse. There can also be no justification for any form of latent or unconscious racism and therefore we remain perplexed at the actions of the Committee over this matter. If Momentum is truly a peoples movement committed to transforming Britain for the better under a future Labour government, then Momentum needs to learn from its mistakes and listen to its members if it is to have any role in delivering this change. 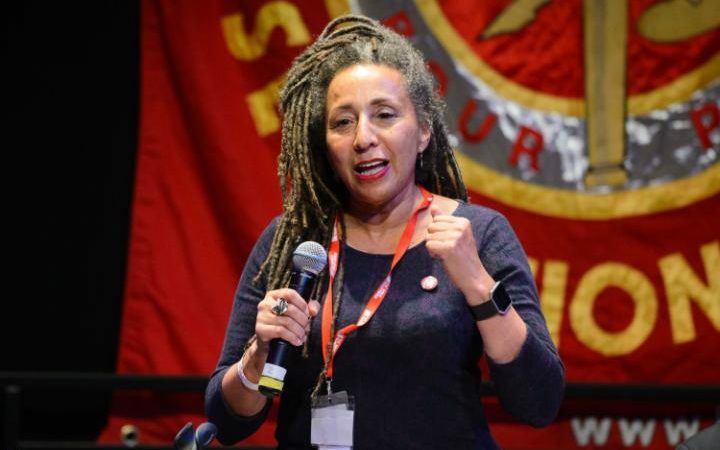 This annual general meeting of Momentum – Brighton and Hove condemns the decision to remove Jackie Walker as vice-chair of Momentum nationally made at the Steering Group meeting held on Monday October 3rd and calls for her immediate reinstatement. The background to this decision was a video, circulated on social media, of a contribution Jackie made in a fringe event at Labour Party conference. The event was an ‘educational meeting on fighting anti-Semitism’ organised by the Jewish Labour Movement and, as such, ran counter to the recommendations of the Chakrabarti report into anti-Semitism in the Labour Party. The filming was done in secret and the only part of the meeting to be circulated was Jackie’s contribution from the floor; which is difficult to hear due to the poor quality of the tape. As such it is completely unacceptable for either the Labour Party or Momentum to use it as evidence or respond to it. Moreover, whatever one’s views of Jackie’s decision to attend the meeting or her comments at it, there is no evidence of anti-Semitism in anything she said and the suggestion that it is is both ludicrous and offensive. It is clear that Jeremy Corbyn’s election, together with the unprecedented growth in membership this has generated, is seen as a threat by the establishment and mass media, together with some within the movement. They will stop at nothing in their efforts to undermine, demoralise, confuse and divide this movement and remove him from office. Accusations of anti-Semitism, like those of misogyny and bullying, are just one aspect of this ‘guerrilla warfare’. Removing Jackie from her position will not appease these people rather it will embolden them to continue their attacks. Further, we do not believe that a decision of this magnitude should have been made by a hastily called Steering Group but by a more democratic body and after wider consultation. We look forward to the inaugural national conference of Momentum in February and the establishment of a democratic constitution, structures and procedure. Momentum Northamptonshire condemns the witch-hunt of Momentum vice-chair Jackie Walker on false charges of anti-Semitism. Jackie is a prominent anti-racist campaigner and labour movement activist; she is no anti-Semite. 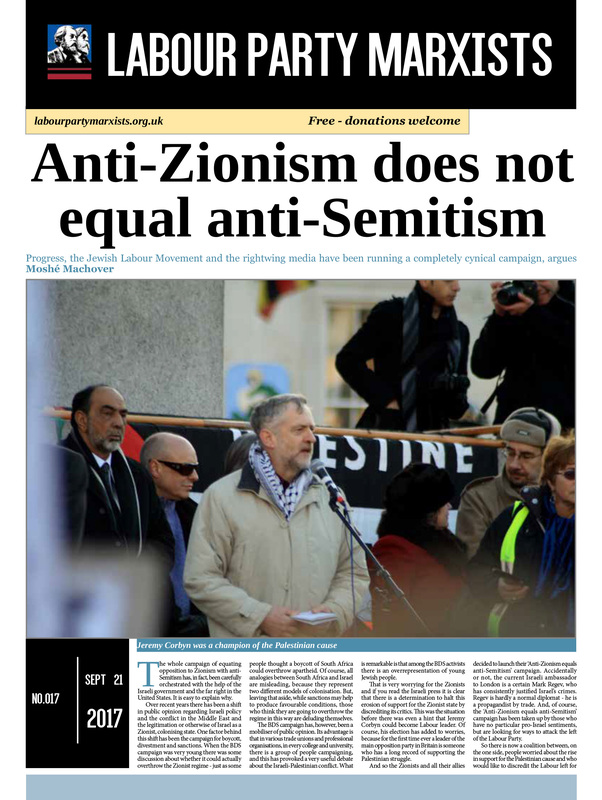 The anti-Corbyn wing of the Labour Party is seeking to equate anti-Zionism with anti-Semitism in order to undermine the Corbyn leadership: to oppose Zionism is to be anti-Semitic; to criticise the Israeli state is to be anti-Semitic; to demand justice for the Palestinians is to be an anti-Semitic. It is the height of cowardice and stupidity to believe that by throwing Jackie to the wolves these attacks will stop. Failing to defend Jackie will only further embolden our attackers; it will give traction to their accusations of anti-Semitism. We will undermine ourselves and Jeremy Corbyn if we abandon Jackie. We are not thugs; we are not misogynists; we are not anti-Semites. “We, members of Momentum in Sheffield, condemn the witch-hunt of Momentum vice-chair Jackie Walker on false charges of anti-Semitism. Jackie is a prominent anti-racist campaigner and labour movement activist; she is no anti-Semite. Throwing Jackie to the wolves will not stop the attackers, quite the opposite: Failing to defend Jackie will only further embolden them. This attack on Jackie is an attack on all of us! According to Channel Four News, the steering committee of national Momentum is considering removing Jackie Walker from her position as vice chair of Momentum. This is based on a highly biased and distorted report of a fringe event in Liverpool at which, it is alleged Jackie made anti-Semitic remarks. I was at that meeting and can testify she said nothing whatsoever anti-Semitic. Her remarks were taken out of context and the short fragment of film shown on TV was totally unrepresentative of the full discussion which took place. This is a blatant attempt to smear Jackie and so damage Jeremy Corbyn by association. It is utterly unfair and unjust. Anyone wishing to express support for Jackie should email emma.rees@peoplesmomentum.com stating if you are a member of the Labour Party, Momentum etc. Momentum is taking its decision on Monday so time is of the essence. We, the undersigned members of Momentum Medway, wish to show our public support for our colleague Jacqueline Walker over the increasing bullying and harassment she is experiencing. We are distressed to hear (via statements in the Main Stream Media) that Jackie’s resignation is being sought. We hope this isn’t the case. Jackie is, as you know, a tireless campaigner against all forms of discrimination; a tireless campaigner for Momentum and therefore for Jeremy Corbyn’s campaign. This is, after all, why Momentum exists. We stand behind Jackie and ask others join our members and share this statement. We seek your assurance, as Chair of Momentum, that you will back us – and many members and potential members around the Country – and support Jackie Walker as fully as she supports everyone else. This evening Momentum Oxford meeting. A much to0 brief view. A full draft agenda was shared on 2 sheets of A4. Thank you to those who helped that happen. Their was sufficient for everybody. Jackie Walker to be re instated as Chair of Momentum. Stephen Marks agreed to write the letter to be sent to Momentum EC. As you might imagine people felt very strongly about this. IMO many new attendees see the possibilities for radical changes and still don’t have as yet sufficient “space” to express such. We agreed to delay the AGM until after October and meet again before then. October 12, 2016 Comments Off on Momentum or inertia?